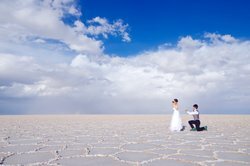 Make the surroundings as memorable as your special occasion: Luna Salada will make your Salar de Uyuni weddings or events easy to organize and coordinate. Whether you’re visiting for your wedding, for your honeymoon, or even if you’re planning to propose, our hotel rooms are a romantic treat you will never forget. And we will work with you to make a custom package that makes your event truly magical. The space you need to celebrate! In addition to the celebration and delicious meals at our hotel, we can also organize group tours for your whole party. 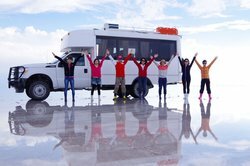 Enjoy the surreal splendor of Salar de Uyuni together, a unique place for unforgettable memories. 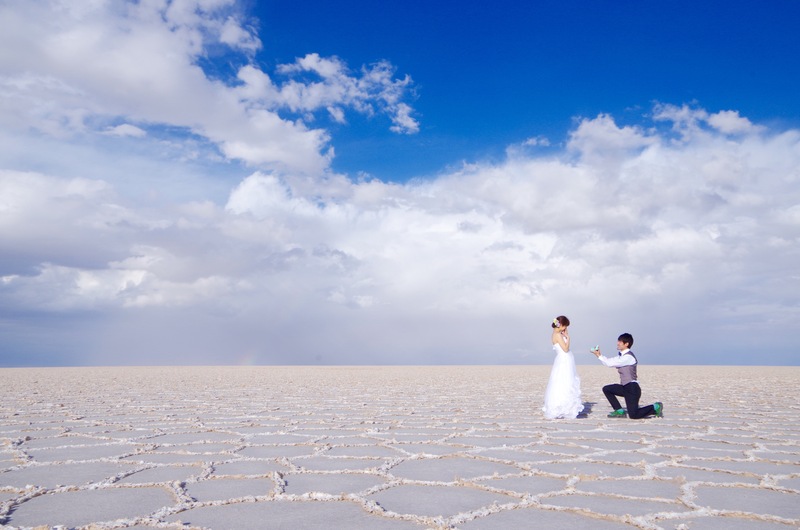 Remember your wedding for the rest of your life at Salar de Uyuni, hosted by Hotel Luna Salada. Mystical romance and show-stopping wedding photos await! The beautiful environment will be there no matter what, and our event coordinators will take care of every other small detail: elegant floral arrangements, exquisite food menu, drinks, wedding night accommodation packages, cake design, and whatever else you need. Salt Hotel Luna Salada. A unique place for unforgettable moments. Get in touch today to start planning! 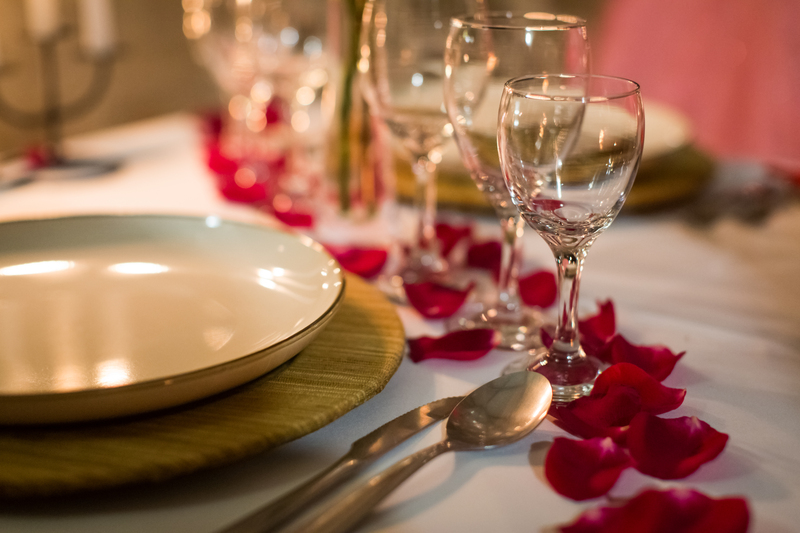 If you’re visiting us to celebrate your wedding, anniversary, or just on a romantic getaway, Hotel Luna Salada has everything you need for romance. Book one of our deluxe double rooms to wake up every morning with a spectacular view. Get in touch to learn more about how we can add a little more romance to your visit to Salar de Uyuni! Stay at Luna Salada and enjoy our delicious breakfast, before embarking on a journey as a whole family! Our group tours will make sure your family experience this mystical place together, while learning something new—with plenty of stops for family photos.